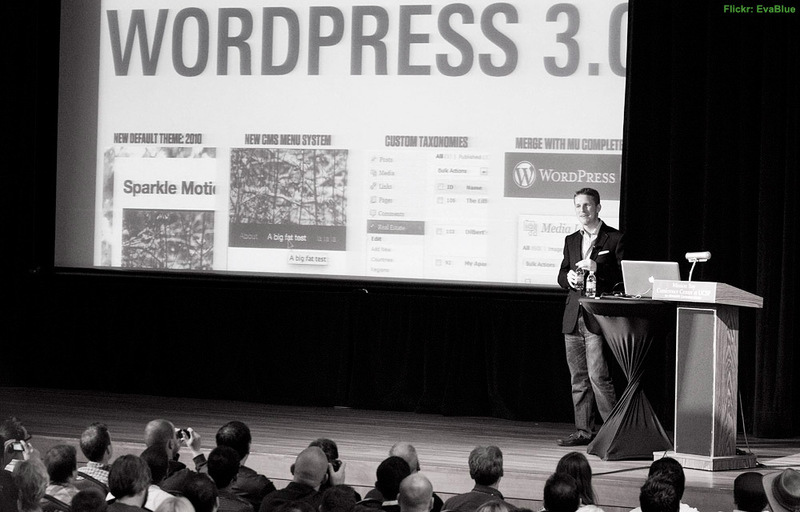 After a strenuous wait since WordCamp San Francisco 2010 in May, WordPress 3.0 is finally here. According to Matt Mullenweg, the 26-year-old founder of WordPress, the newest version is the 13th major release. About 218 contributors put nearly six months worth of work into the latest release, bringing “1,217 bug fixes and feature enhancements.” The updated version is available for download through WordPress.org or from within the Dashboard of an existing WP install. WordPress 3 includes a brand new theme, TwentyTen, to replace Kubrick. With some new APIs, the new theme lets users easily select custom backgrounds, headers, shortlinks, menus, post types, and taxonomies. The new release also integrates WordPress MU, allowing users to host multiple blogs and websites with a single install. This brings WordPress closer to Six Apart’s Movable Type blogging platform, which has offered that feature for ages. The upgraded user interface is lighter, has contextual help documentation, and even a bulk plug-in updater tool. WP 3 even brings great touches such as shortlink support for microblogging, custom administrator usernames, and more. Also, according to the official WordPress Blog, the latest v3.0 features have already been deployed to hosted WordPress.com blogs. Those self-hosting WordPress should be somewhat cautious before upgrading. Performing backups of files and databases is essential. It’s also important to check for plug-in compatibility before deploying the latest version on a server. For the most part, the majority of WordPress users won’t have any issues. However, those using custom code should spend some time ensuring that the upgrade will go smoothly. On another interesting note, Mullenweg states that his company won’t begin on v3.1 anytime soon. They are taking time off from a release cycle to resolve external issues surrounding WordPress. For instance, they are going to revamp the theme showcase, documentation codex, support forums, user profiles, plugin repository, mailing lists, and much more. There have been over 10.3 million downloads of WordPress 2.9, and it’s only going to get more popular with 3.0. Skatter Tech has been using WordPress for years and we’ll be deploying the update over the next few days as we test possible bugs on our sandbox server.